Real Deal: What Would It Take To Get J.T. Realmuto? The reason to do it now is that if they don't, the Twins might miss their chance. This season, the Twins have gotten a lowly .581 OPS from the catcher position, ranking as one of the worst in the majors. But worse even are the Washington Nationals, who have openly tried to upgrade behind the plate. 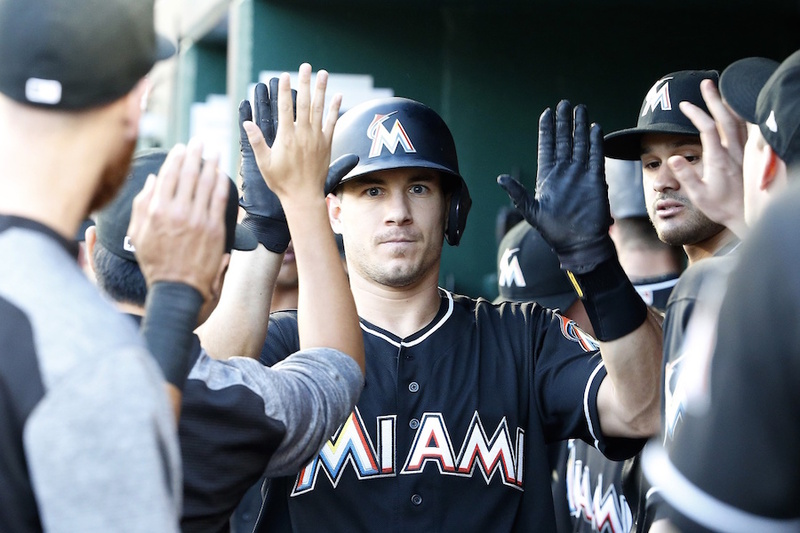 They made a big push for Realmuto during the offseason as Miami held its firesale, but ultimately came up short. I would think Killerhoff plus several pitchers like Mejia, May and Businetz or a similar group of pitchers. I dont want to give up a great hitter and potential ace for Realmutto. I would rather overpay for Ramos as a FA for 3 years this offseason then overpay for Realmutto with what your offering. Also i think an extension to lock him up for 4 more seasons should occur if we are going to make this trade as well. Mejia, May, and/or Busenitz would be an insult to the Marlins. We are never going to be able to make a trade with second or third tier players included. Like Doc said, the trade is going to hurt if it’s going to work. The position the Twins are in right now, IMHO no one is off limits! Top-shelf starting pitching is the most important element in building a contending baseball team. Because the Pohlads consider the Twins a mid-market team, they will not spend Yankee money on hired guns. That leaves developing arms from the farm. It has been quite a while since the Twins had so many promising arms in their minor league system. Berrios, Romero and Gonsalves could be the nucleus of a good pitching staff for half a dozen years. Add a few more guys like Thorpe and Graterol, you might just have a contending staff, developed at an affordable price from within. Realmuto may be a great player, but lots of teams get by without a great catcher. Develop or buy a good defensive backstop when the rest of the team is ready to make a push. Let's not sell the cows before they have a chance to play the fiddle. You know what I mean. The Twins have a core of young pitchers to go with Berrios in Romero, Graterol and Gonsalves. Why break that up for 2 years of a good catcher. I'm all in with Mitch Garver. And with Sano and Buxton failing badly I am not going to trade potential stars in Alex Kirilloff or Royce Lewis. Even as this year has been a fail it's easy to see a quick turn around in a year of two if Sano and Buxton get right and you have Lewis, Kirilloff, Gordon and Rooker knocking on the door. → Article: Real Deal: What Would It Take To Get J.T. Realmuto?